It is getting close to that time of the year again. We’ll be hitting the roads for some fun summer vacations. Camping is one of the great ways to share the outdoors with family members. 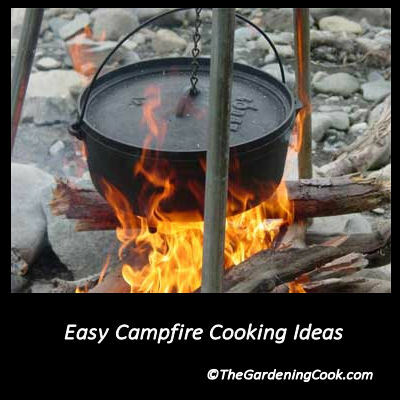 These camping foods ideas will give you some inspiration and are all easy and fun to do. These Camping Foods Ideas are easy and Fun to do. But having the right food for a camping trip is not just about hot dogs and marshmallows. There are lots of other foods that can be cooked over a campfire to make your camping trip a great one. All you will need is a camp ground location, a roaring fire and a bit of enthusiasm to turn these delicious ideas into reality. 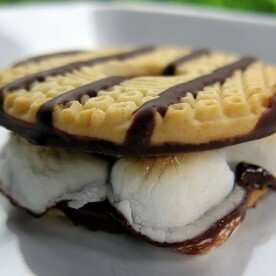 One of the highlights of any camping trip is making s’mores. 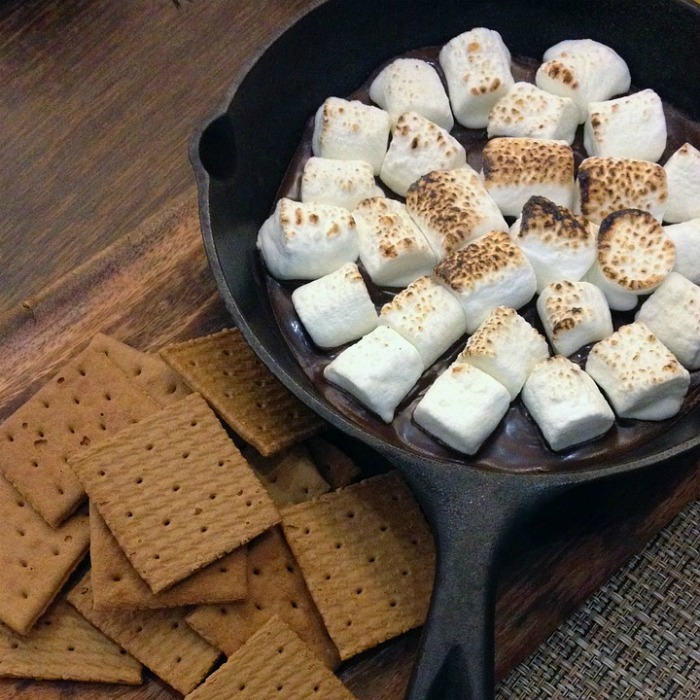 If you have a large crowd you can toast the marshmallows in a large cast iron frying pan and then just let everyone add their own graham crackers and chocolate. Easy peasy! Fire Grilled Camp Sandwich. 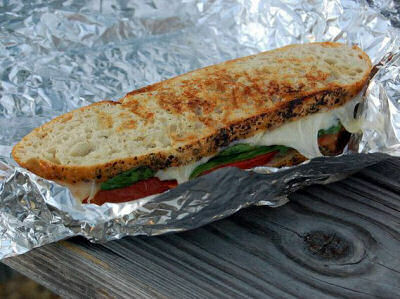 Who would have thought that wrapping a sandwich in aluminum foil could produce such a delicious looking meal? 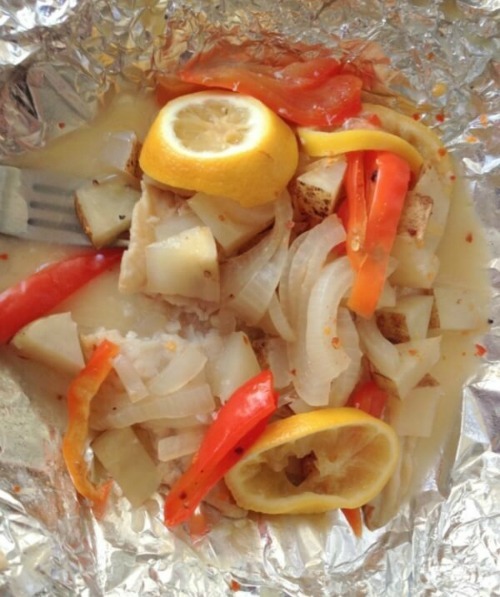 Fish cooked in foil on a campfire turns out so moist and tender. Add the lemons and onions right in the packet! 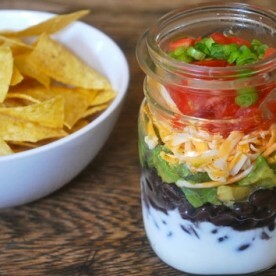 This healthy idea has a complete layered salad in a mason jar. The dressing goes in first so that the other ingredients stay fresh. Great idea! 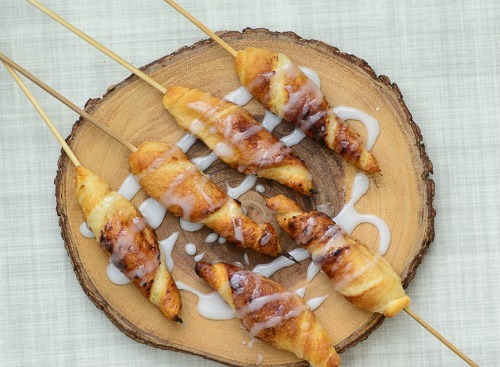 These campfire cinnamon roll ups are easy to make, easy to eat and perfect for a fun filled camping morning. 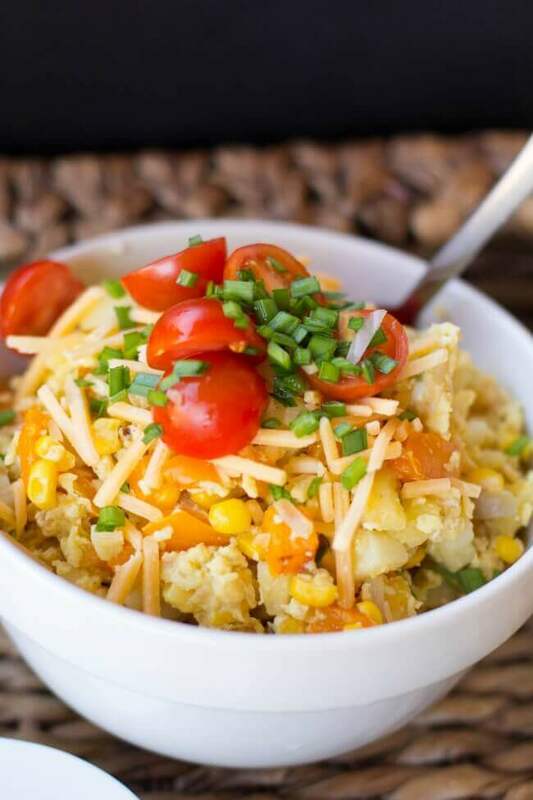 These southwest scrambled eggs are easy to make over a campfire and super tasty. 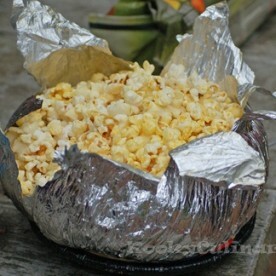 Easy Campfire popcorn uses the old style Jiffy Pop containers. The kids will love this one. 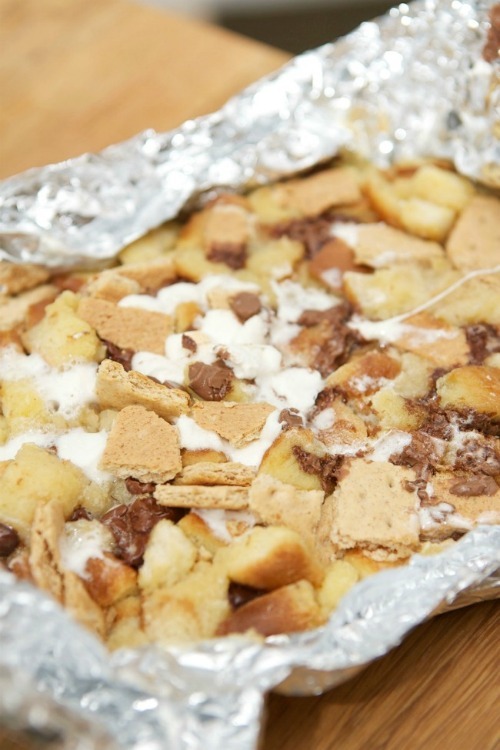 Imagine how the kids will enjoy digging into this package of campfire s’mores bread. It won’t last more than a couple of minutes! 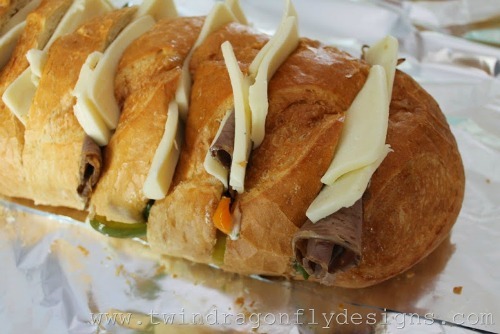 Just a few ingredients wrapped in foil and 30 minutes on a campfire and you’ve got a campfire Philly cheese steak sandwich. YUM! Looking for a more substantial dessert? 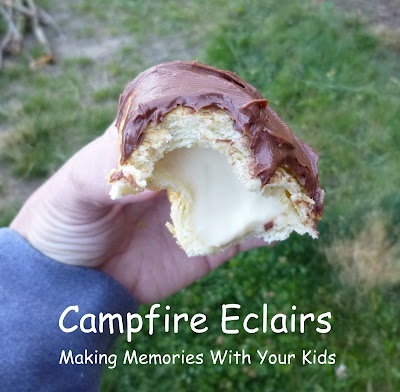 These campfire eclairs looks amazing! Bet the kids will love these! 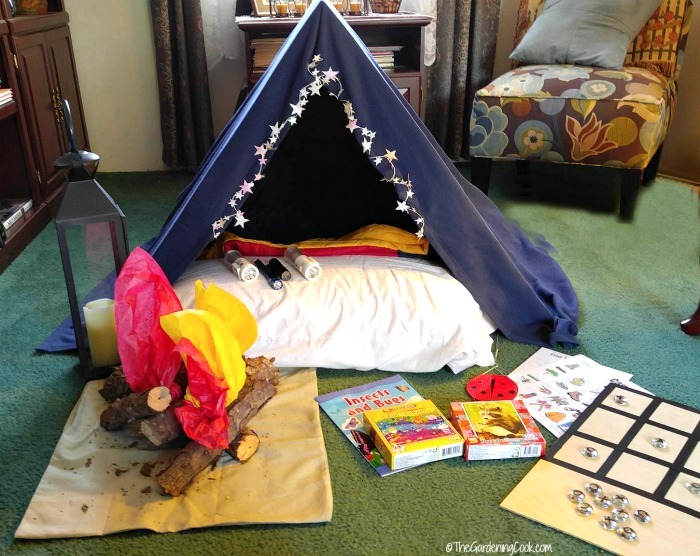 If it’s raining and the kids still wish they could go camping, try having an indoor camping party at home! The kids will think they are having the real deal! 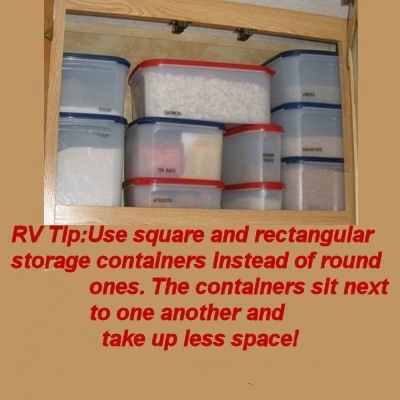 Here is a super tip for saving space in RVs when camping. Use square and rectangular Tupperware containers instead of round ones. 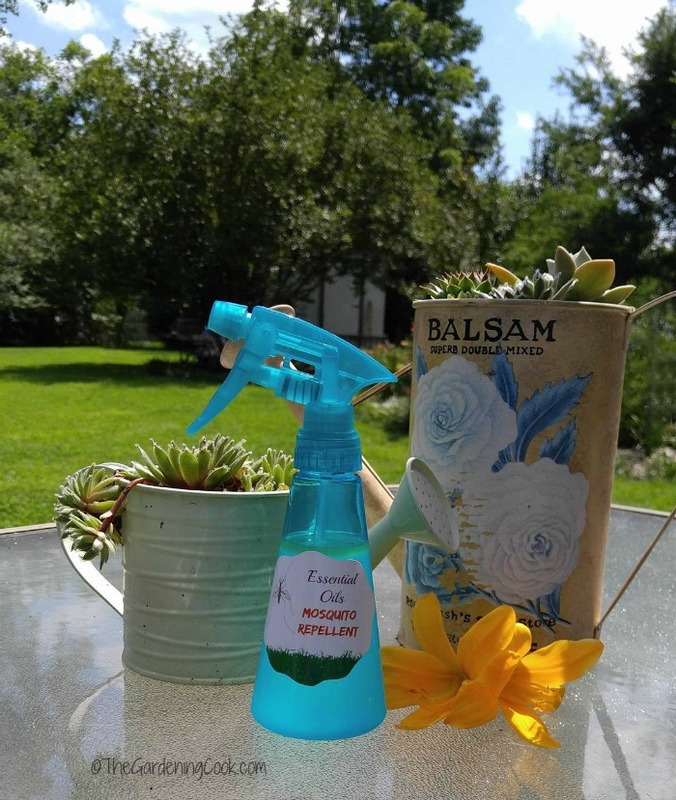 No camping trip would be complete without a homemade mosquito repellent. This one uses essential oils and is very easy to make. What are your favorite easy camping foods ideas? Please leave your comments below. Space in our RV is always at a premium. We found that the 3 cup rectangular, clear storage containers will store our leftovers (sometimes have to use several), and can be used as storage for many other items throughout the RV. They stack on top of each other, and are easily arranged in the refrigerator. The trick we have found is to keep all of the containers exactly the same size and brand. There’s no need to look for a lid, and they all nest together in a very compact space while not being used.